First of all, I'm so happy that Mary Werner contacted me when she won my give-away earlier this week. I can't wait to make her a personalized tag with Graphic 45's Once Upon A Springtime, her favorite collection. That's what I'll be doing Sunday afternoon. Personalized projects like these make me so happy! I'll be sure to post it when finished and share Mary's sweet e-mail she wrote me. Okay, on to the next big Compendium of Curiosities Challenge! The Compendium of Curiosities III Challenge hosted by our lovely hostess Linda Ledbetter on her blog. Each challenge comes from the wonderful book "A Compendium of Curiosities Vol. III" featuring amazing products and techniques by non-other than Tim Holtz. 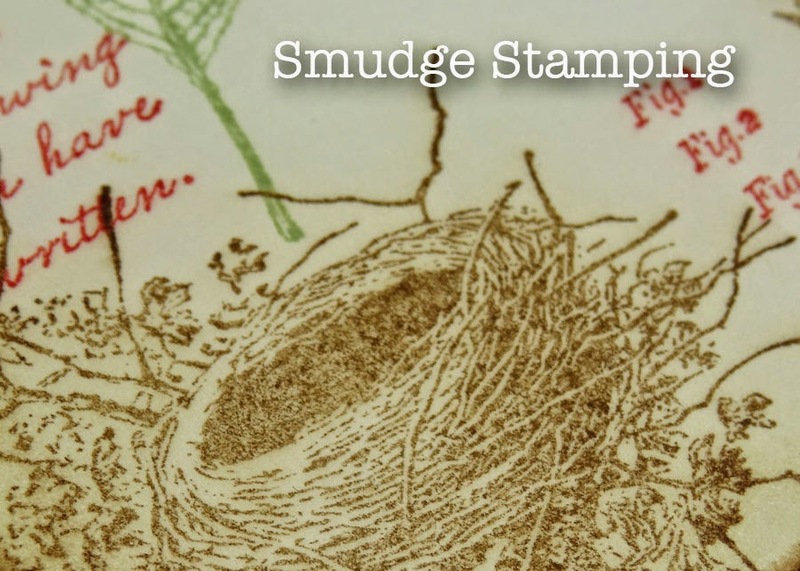 Today's challenge can be found on page 42 in the book, and it's called "Smudge Stamping." The Curiosity Crew is here to provide some inspiration to help kick-start your creativity. For this challenge I created a 5 x 7 Mother's Day card for my wonderful Mom. First is the Smudge Stamping technique itself, which I can't give away. (That's for you to discover in your own copy of the book.) 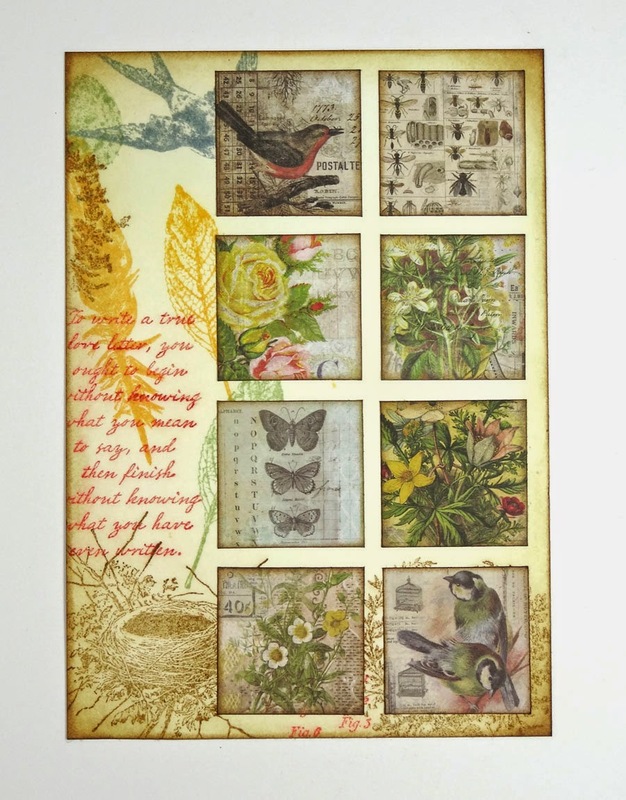 For my background area, I used the Stampers Anonymous "Nature Walk" stamp set on a 4 3/4" x 6 3/4" piece of Ranger's Mixed Media Card Stock. I remember first learning this fun and easy technique at Ranger University a few years ago. Such a cool effect to background stamping. I cut eight little squares 1 7/16" each of Wallflower paper (mostly from the 3" x 3" pages) and inked the edges with Gathered Twigs Distress Ink. The perfect medium brown. I will NEVER get tired of the Wallflower collection! I adhered the squares to my background piece, evenly spaced. Then I stitched between all the spaces with a tan thread. I love using the sewing machine on my paper craft projects. and finishing with some Fired Brick and inking the edges with Gathered Twigs. Finally, I gave it a shot of Copper Perfect Pearls spray for just a bit of shimmer. After heat setting the butterfly, she sort of naturally curved her wings forward. Perfect! Then I added some kraft Chit-Chat stickers below. I found these great little bumblebee charms at Alpha Stamps. I simply snipped the charm loop off and colorized the golden bee with some Sunset Orange alcohol ink. The crinkle ribbon has been spritzed with Fired Brick Distress Stain and a bit of the Copper Perfect Pearls spray. I tied it around the base piece and attached the whole thing to my card base, which is 5" x 7" (folded) dark brown Kraft Core. ...So I looked through my stash and found some lovely Martha Stewart filigree embellishments and added two photo corners on the left and a round piece behind the bow. Now it's complete,... almost. Let's not forget the inside of the card. 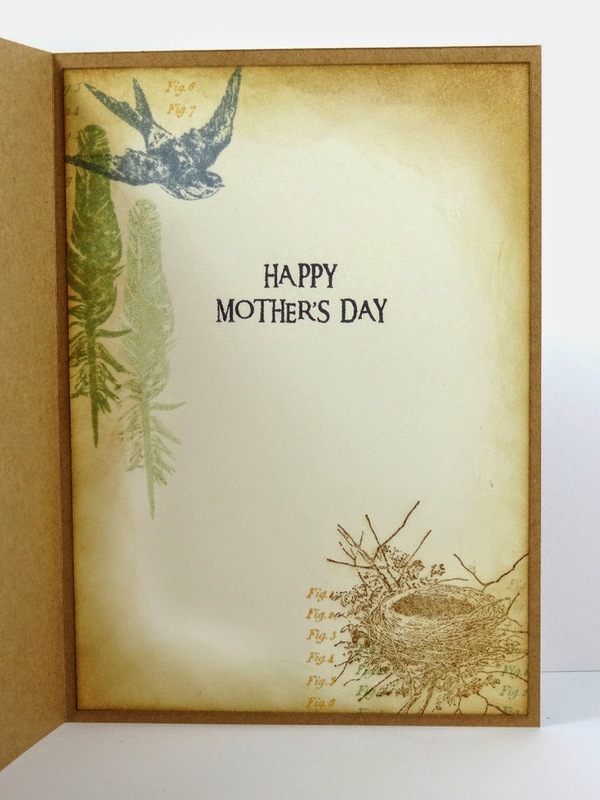 A little more smudge stamping in there and a stamped phrase for Mom and now the card is really complete. Now it's YOUR turn. I hope you join us in this cool technique challenge. Gorgeous smudge stamping Annette! At first I thought it was An already manufactured cardstock sheet! 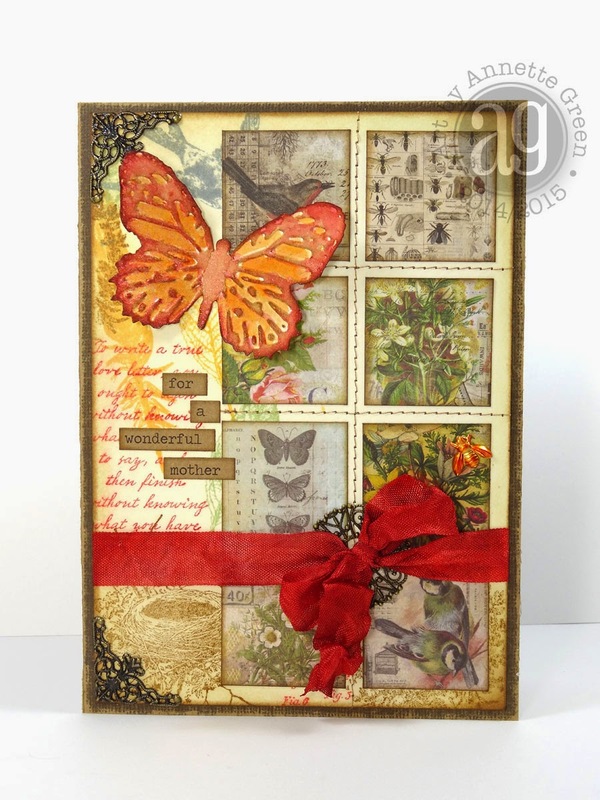 Love your design and your selection of little tiles you made to create such a beautiful card front. 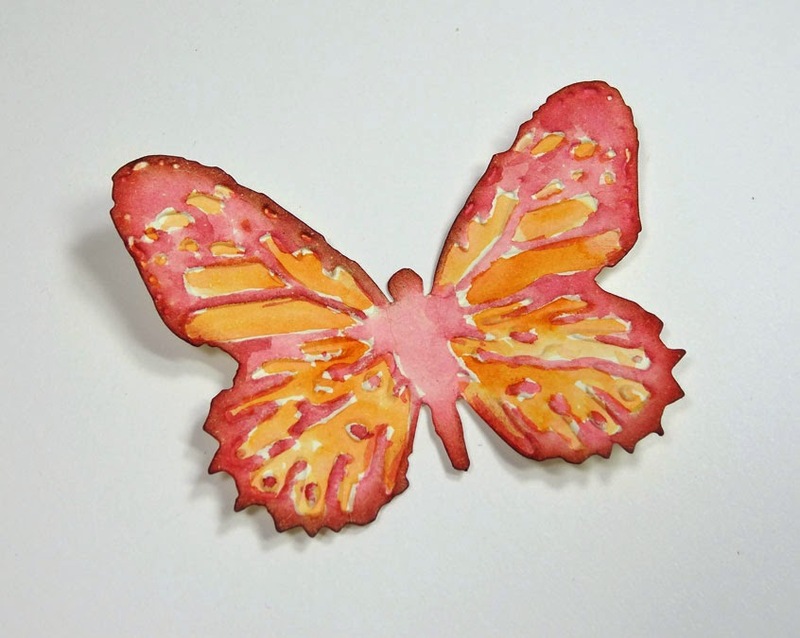 Your butterfly is so sweet. 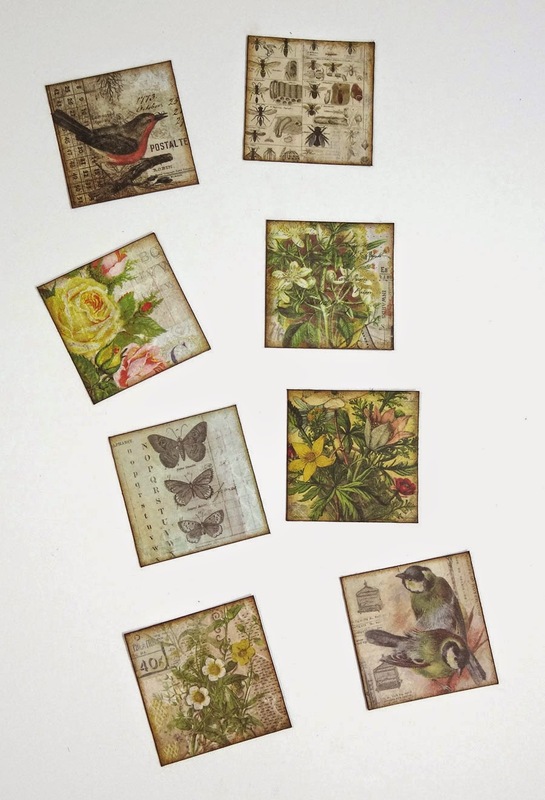 Beautiful work, love how you used the tiles from the paper stash, I'll need to remember that idea. Gorgeous card and the smudge technique is perfect. 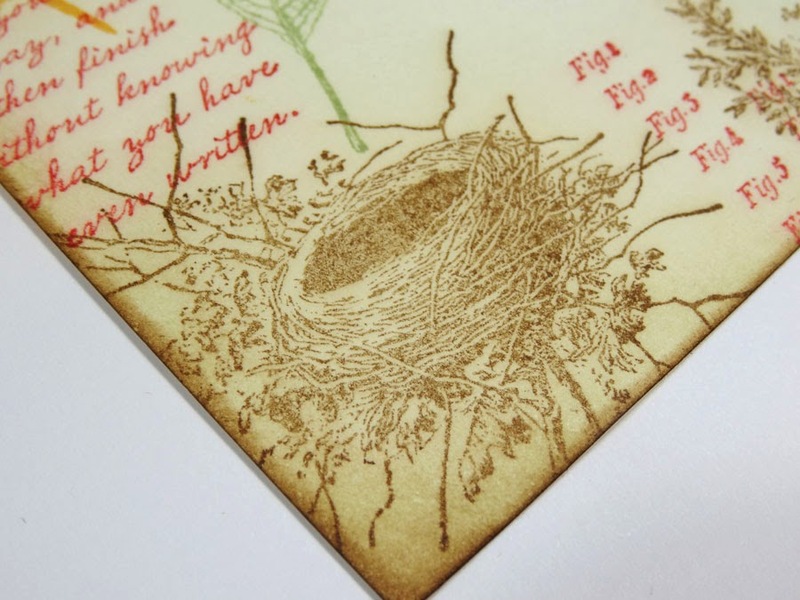 Beautiful,one of my favorite Tim Holtz techniques. Love the stitching also. You make beautiful things. Thank you for the inspiration. Great card, Annette! Good reminder to get going on a card for my mom. I love your smudged background with the Wallflowers patchwork. (I'll never get tired of that paper either. I've got 2 pads I'm working through and 2 pads I'm hoarding!) That little bee charm is charming, I'm going to have to get some of those. Thanks for the inspiration! LOVE your card, a great way to use the little squares of paper and is a beautiful contrast to your stitching and smudge stamping. So beautiful. I know your mother will love this gorgeous card and I'll bet she's proud to have such a talented kid! This card is gorgeous Annette!! I love it.... and since I never heard back from you about being a guest designer for April, I'm assuming it's a no. I hope that maybe you will want to GD later in the year! Enjoy your Sunday! So beautiful, inside and out. 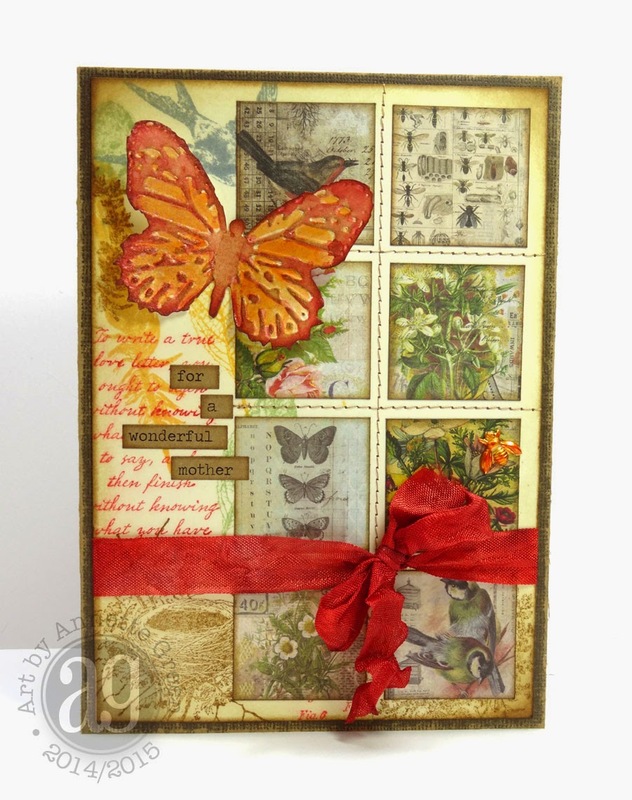 Love the colors you selected for your smudge stamping and your butterfly is gorgeous. I love the Wallflower stash too. I know your mother will love this card! So beautiful. A great idea . What a lovely spring design Annette! love all the soft colors on your background and paper! WOW! thud! Wow. I LOVE this. This is absolutely gorgeous! This is so pretty, i love the layering. What a beautiful card for your Mum, I'm sure she'll love it. This is great work. Ooohhhhh...wow! I am just loving the little details in this: the stitching, the squares of stash that draw the eye all over the page...and back again! Esp love how you also added the effect to the inside of this card. Any Mom would treasure this keeper!!! What a lovely card! Lucky Mum to receive it! Fab! Love al the colors you used and the stitching is such a great accent. Thank you for the tutorial, I love your butterfly. 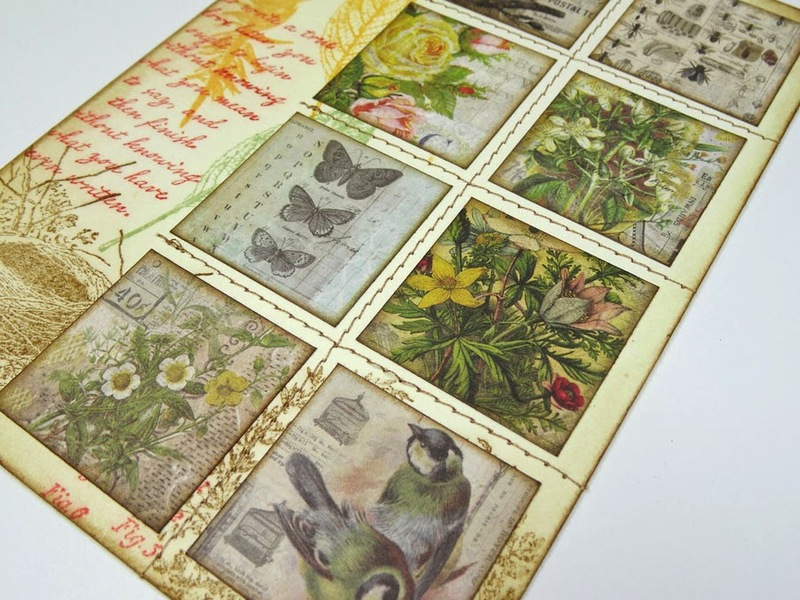 Hi Annette - It is amazing to me how you made the nature walk stamps fit and blend perfectly along the side as you did. You were so brave to add so many and they just look so incredible. And the little squares - ohhh, it's all just great. Thank you for sharing your process. j. Love the butterfly it adds the perfect amount of contrast. I am loving the background! Its just so pretty! I need to get on my Mother's Day game...haven't even started...thanks for the reminder! LOVE LOVE LOVE your card! Stitching always makes me happy and love your patchwork! Gorgeous stamping and love the ink colors! Beautiful work! Amazing card, Annette! 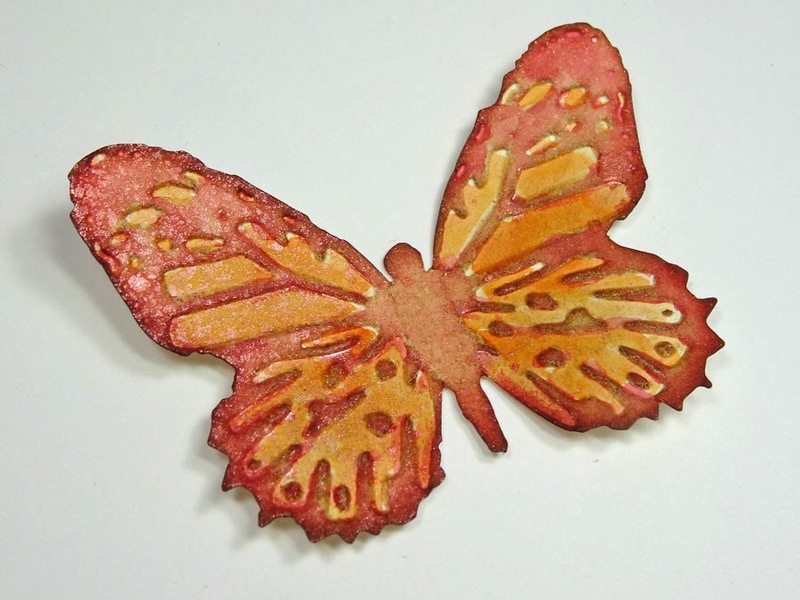 Love your smudge stamping, your beautiful tiles and your awesome butterfly! Lovely card collage, I am sure your mother will treasure it! Beautiful card! 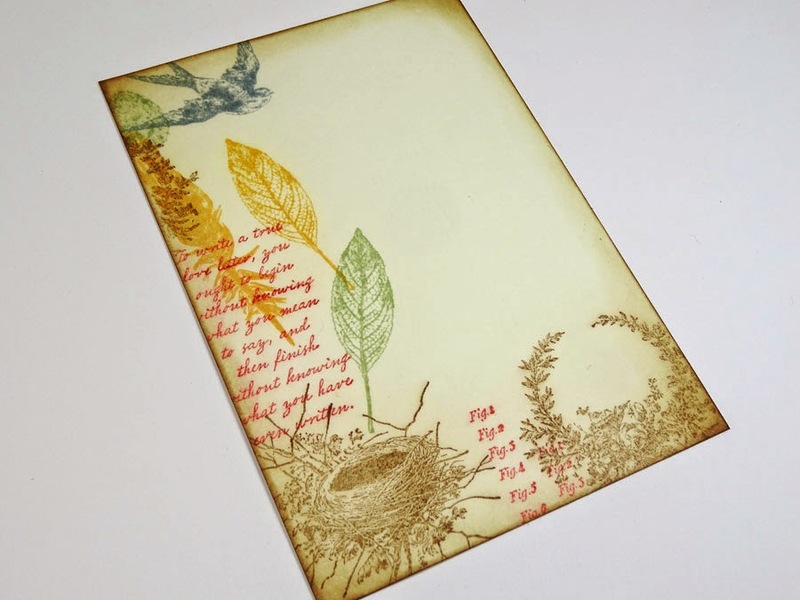 I love the colors and how your photos showed the layering of your stamping. Thanks! That will help me in my second attempt at smudge stamping! 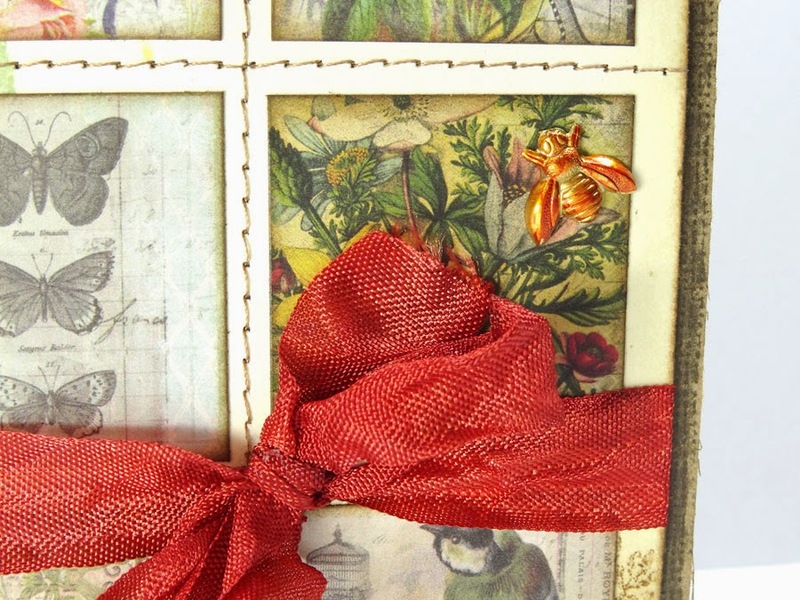 Love your smudged background and the wonderful tiles and sewing! Beautiful! And once again, I should have gone here first!! LOL! I love your smudge layer....sets off the card perfectly. Your Mother will love this. 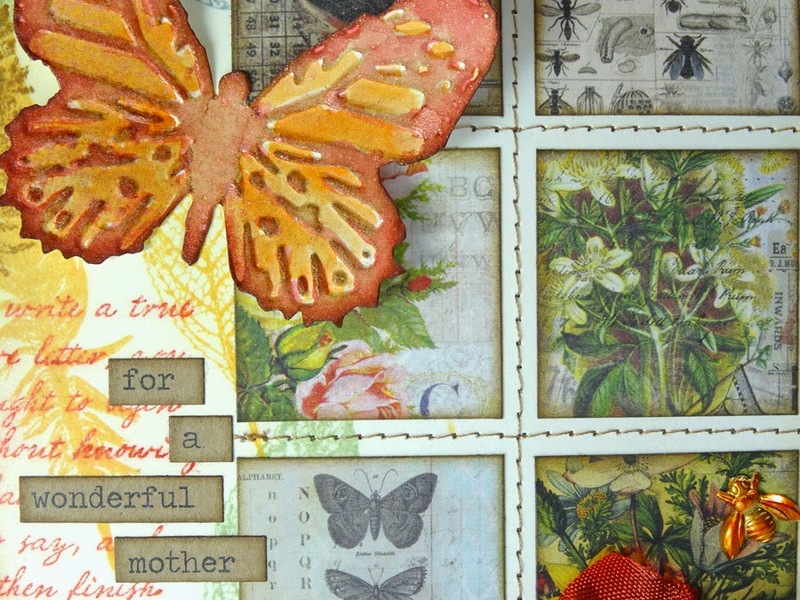 Beautiful Mother's Day card, Annette! I love the bold butterfly, the ribbon/bow and that wonderful stitching! All so pretty! Dear Annette, your mom will be moved ahead of such beauty! Thank you for sharing the tutorial! Beautiful card! The filigree embellishments set it off perfectly! Annette, Your Mother's Day card is beautiful! 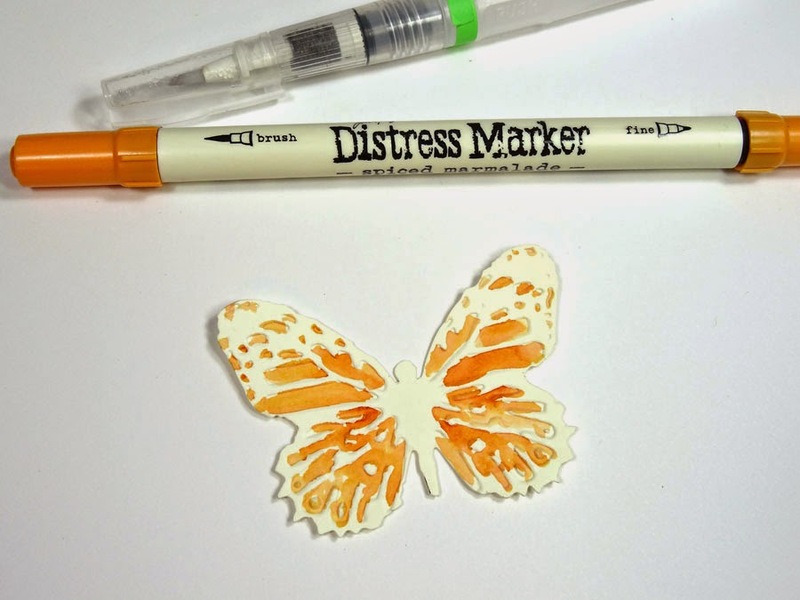 I love how you created your background using the technique with various colors of Distress Ink. The background corresponds to the Wallflower paper beautifully. Annette, when I look at your card it makes me happy. =) It is beautiful.